The summer proper was fast approaching and I’d just about given up on the idea of any further bream sessions at the Quiet Pit (as a friend had decided to christen it). However, the forecast suddenly indicated a significant drop in air pressure, with wind, rain and overcast conditions coming up for a day or two. I quickly planned for a last attempt at the bream to take advantage of the cracking weather that was due. On arrival at the pit for my two-night session I selected a swim that I had fished on my first visit to the pit, but hadn’t fished throughout the more successful Spring campaign. However, the conditions, along with a bit of ‘gut instinct’ were pointing me in the direction of the swim, so I was happy enough to get on with the preparations. A clean gravel area within comfortable casting and spodding distance was selected as the main focus area, with the option of fishing a third rod off to the side on a drop-off feature. I used very similar tactics and baiting up approach as I’d done during the main Spring sessions (as described in my previous blog), with a 12mm CompleX-T boilie straight out of the bag tipped with a piece of artificial sweetcorn as the hookbait on each rod. Happily, the winning combination continued to produce the goods, with 7 double-figure bream providing regular action on the first night, once the bites started just after midnight. The largest bream was an impressive looking dark male fish weighing in at 13.10. While a bonus male tench of 7.04, caught soon after dawn, signalled a round-off of events for the first night. The conditions were clearly not as favourable for the second night of the session, with much clearer skies, and the results reflected this. However, 2 further doubles were added to the overall tally, with the best bream of the second night weighing 12.15. As for the tench, I was pretty sure I’d already had the largest tench from the Quiet Pit at 9.07 earlier in the Spring, but still harbored a desire for a ‘double’ this year and felt as though having a go for the tench on Swan lake on the Bluebell complex would give me a chance. Virtually every angler on Swan is fishing for the carp and not many tench get caught by accident, so the way I go about targeting them is by specifically tailoring my approach by fishing close to the margins and using smaller baits and finer end tackle. Maggots would be an ideal bait in these circumstances, but as they are banned on this pit I tend to opt for fishing small snails from a tin of standard size Dynamite Hemp & Snails over hemp on one or two rods, with either a 10mm Source pop-up or a single grain of artificial sweetcorn over a bed of Marine Halibut Pellet on the other. 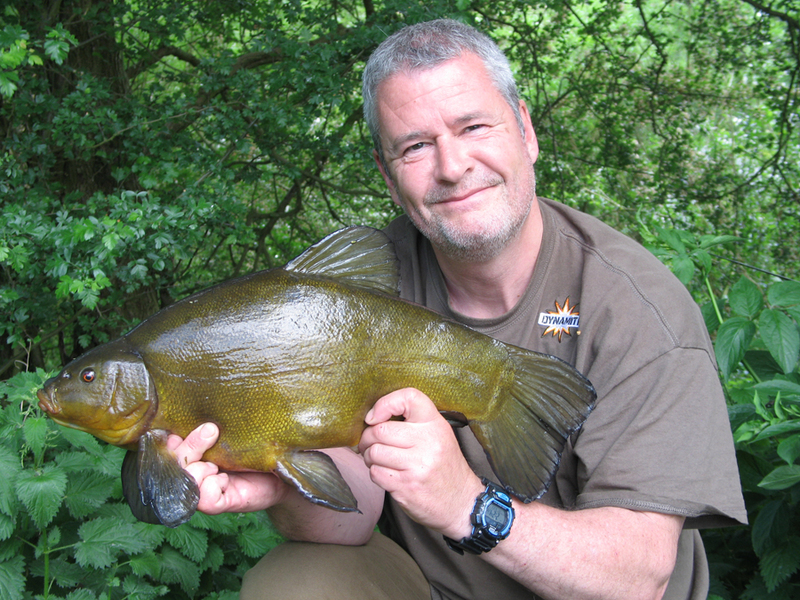 I had three separate sessions over the early part of the summer for the Swan tench using these tactics. However, despite fishing different swims spread around the pit I could only seem to catch the smaller male tench and frustratingly never caught a single female. The two largest males were both lovely fish weighing over 7lb, but it would have added extra excitement of one of the big females had joined the party. 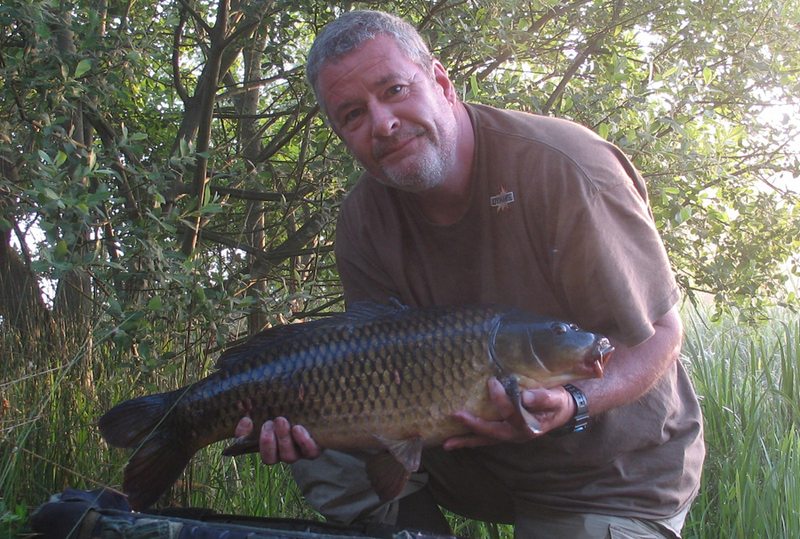 Around this time, I couldn’t resist a couple of overnight trips to the Quiet Pit to have a go for the carp. This seemed like an ideal time while the carping on Swan seemed to be suffering a slowdown due to a sudden algae bloom. I always keep a good supply of shelf-life CompleX-T in the car and I’d been making the effort to trickle in a reasonable amount of CompleX-T in various sizes whenever I had been travelling anywhere near the pit. The baiting up effort payed off nicely, as the first overnighter in a neglected looking corner brought immediate success in the shape of a lively 12.12 common. 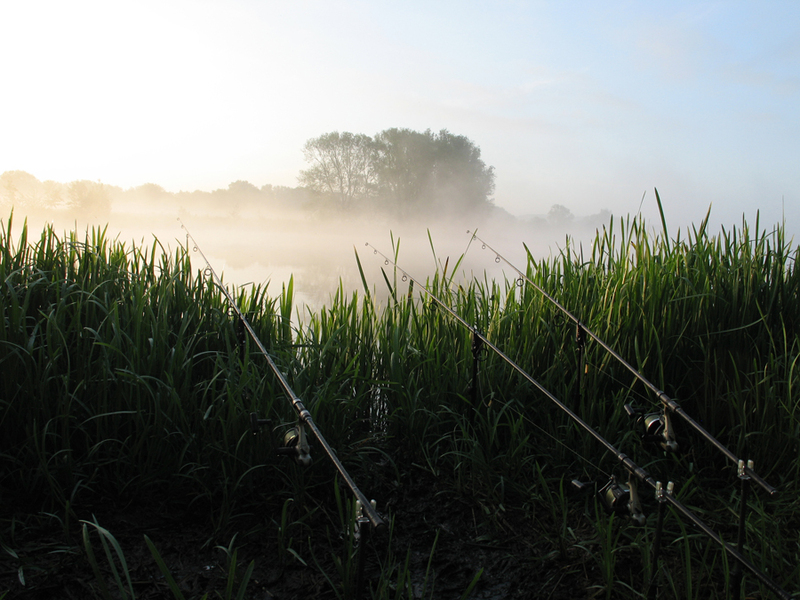 It was a slightly awkward little swim and I’d just simply poked the rods through little gaps in the reeds, fishing the left and right-hand rods on the margin drop-off, with the middle rod a bit further out over a clearer area surrounded by low-level weed. All rods were armed with CompleX-T hookbaits, either pop-ups, or standard bottom baits depending on how clean the bottom felt. Following a very clear night, it was the right-hand margin bait that absolutely howled off on a blisteringly fast take through the heavy mist at first light. It was soon apparent that it wasn’t going to be a big fish, but I was well chuffed with the result for the first time specifically targeting the carp on the venue. A second carping session on the Quiet Pit could have ended very sweetly, but I suffered a cut-off, which I think was due to either running over the sharp edge of a mussel, or possibly an old bit of machinery or concrete left over from when the pit was dug. Either way it was a disappointment which was magnified when a second take resulted in a hook pull! After packing up later in the morning the possibility of redemption appeared to have presented itself, when most of the pit’s carp population decided to show themselves in the upper layers in an area of the pit receiving the full effect of the now sweltering June sun shining through a cloudless blue sky. The carp were reasonably easy to spot from an area of high bank, but it wasn’t possible to fish from there due to an extensive area of bushes and reeds. I had to fish for them from a tight little swim off to the side of the area, where the angle made it much more difficult to see the fish clearly. However, it was obvious that there was a chance of a take on a floater outfit, so some gear was retrieved from the car and a bolt-controller type arrangement quickly put together. I usually store some floater fishing gear in the car during the summer months, but on this occasion I didn’t have an specific floater fishing hookbaits other than cork balls. However, I rather fancied giving the washed out Fluro versions of the CompleX-T pop-ups a try for this, as I liked the colour and the 12mm version looked ideal for the job and sat perfectly on the surface once mounted on a very short hair tied to a size 10 Nash Uni. Using just the single floating hookbait, without any further freebies, turned out to be the right thing to do, as the ever-vigilant seagulls even managed to home in on the single hookbait on a couple of occasions and would have been a complete ‘mare if I’d have catapulted out a load of mixers or similar. The impromptu floater fishing session lasted around an hour and a half before the group of carp gradually drifted off towards the middle of the pit. However, I wasn’t without a chance, as towards the end, when I’d lost sight of the carp completely, I left the floater cast out with the ‘baitrunner’ on, as I quickly scampered up to the top of the bank to try and relocate the fish. Although most of the carp were now out of range, there was a handful of active fish not far from where I had my floater positioned. As I looked, the largest of the group, seemed to suddenly make a beeline for my hookbait and I scrambled back down to the rod. A few short seconds later I arrived at the rod just in time to see the controller bob back to the surface following an aborted take! Not long after the unplanned floater fishing session on the Quiet Pit, a similar set of circumstances presented themselves over on Swan. I was targeting the tench at the time, but without success and I’d gone off for an hour or so to see if I could stalk a carp from a relatively unfished corner. As I returned to my swim from the little stalking session I could see that the warm sunny conditions had encouraged a number of carp to start drifting around the upper layers. They looked as though they might be responsive to a floater, so the stalking kit was transformed into a floater outfit and again a single 12mm CompleX-T washed out Fluro pop-up used as hookbait. Gulls were a potential problem again, so I decided to rely on just the pulling power of the single boilie hookbait to tempt a bite. After a period of casting the bolt-controller long, and carefully pulling the hookbait back into the path of cruising carp, I was pleasantly surprised to find that I was receiving some interest in the hookbait. However, it always seemed as though it was the smaller 20lb range fish in the group that looked likely to take the bait, rather than the larger fish of 30lb+. Therefore, a couple of times, I risked twitching the controller and bait to put a smaller fish off taking the bait, but without causing a major panic that might have all the carp suddenly vacating the area. Eventually I had a situation where a mini group of just two fish were on a collision course with the hookbait. The lead fish looked to be around low 20’s, while the one following looked as though it might go 30lb. The twitching of the hookbait trick worked to put the smaller fish off the idea of taking the bait, but left the second, larger fish, right on target… and as it drew level it took the floating pop-up without hesitation! Most battles with a surface hooked carp tend to be quite dramatic, and this one certainly fell into this category. Eventually however it allowed itself to be bundled into the landing net. On inspecting the carp I’d just caught, I was very pleased to see what looked like one of the old, dark, grey mirrors from the original stocking… and at a weight of 32.08, very well worth while the extra effort of some impromptu floater fishing. The early summer period was rounded off with a very enjoyable weekend spent over at Horseshoe Lake near Lechlade, to help with the celebrations of the regenerated Carp Society and the successful outcome of the long-running legal battles to help secure the future of the organisation. Not a great deal of serious fishing was undertaken, but there was a hefty amount of socialising and a reasonable amount of eating and drinking amongst the more serious discussions. This period also marked a bit of a change in my own thinking regarding the species to target during the remainder of the summer months, which I’ll go into in a lot more detail in my next piece.